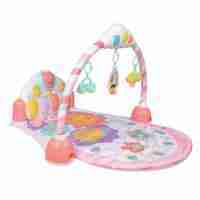 The Mini Me and Friends kick & play piano gym is packed with fun and exciting features that stimulate your baby?s senses that encourage them to move, kick and grasp with rewarding lights, sounds and music. Our Mini Me & Friends Activity Mat is designed to grow with your baby. 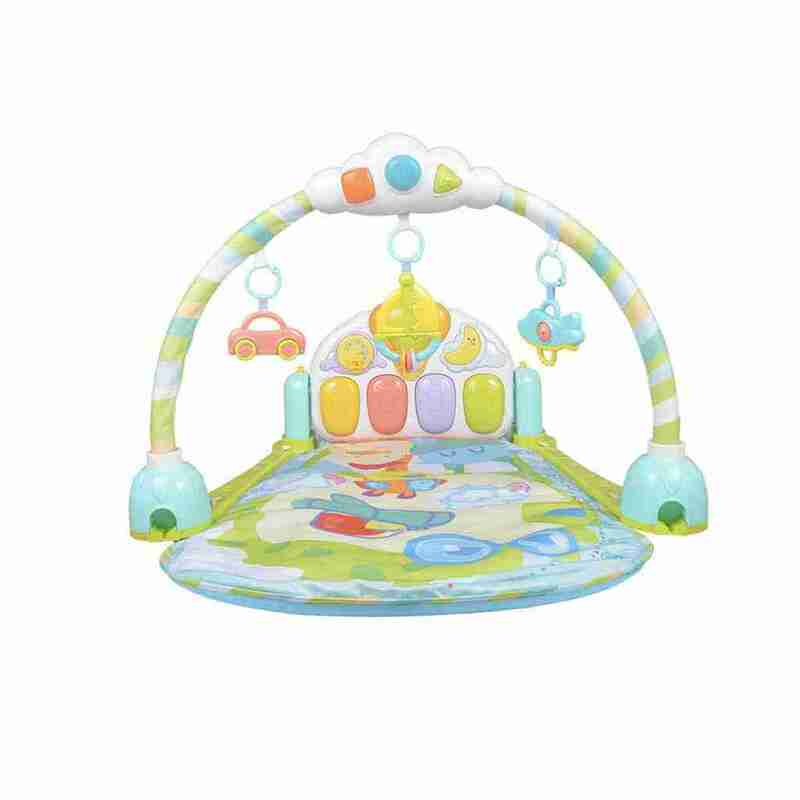 As you babys playing habits change, so does our playmat! 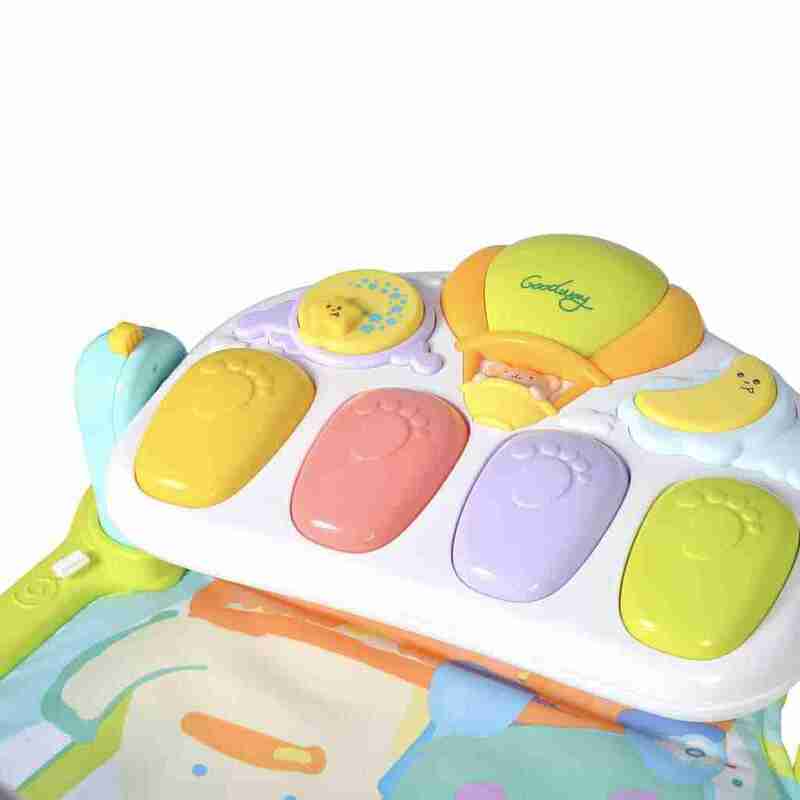 If your baby prefers lay-and-play the piano can be placed into the kick position, each kick piano will reward your baby with fun sounds. 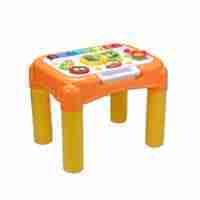 As your baby grows they may prefer to play sitting up, no problem! Simply flip the piano into the horizontal position and they can play with it just like a real piano. 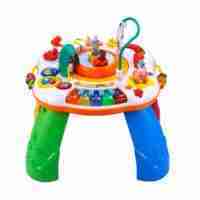 With four ways to play, this musical toy grows with your little one! 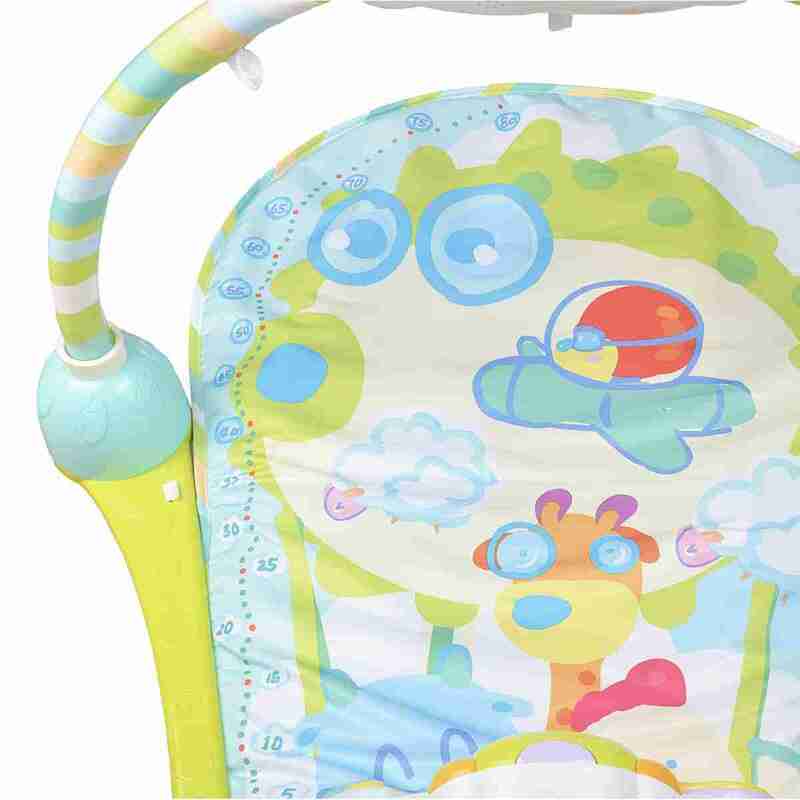 From laying and playing, to tummy time and sitting up, busy activities at each stage are just the beginning of the fun. Babys in charge of the action as they kick their feet activate music. 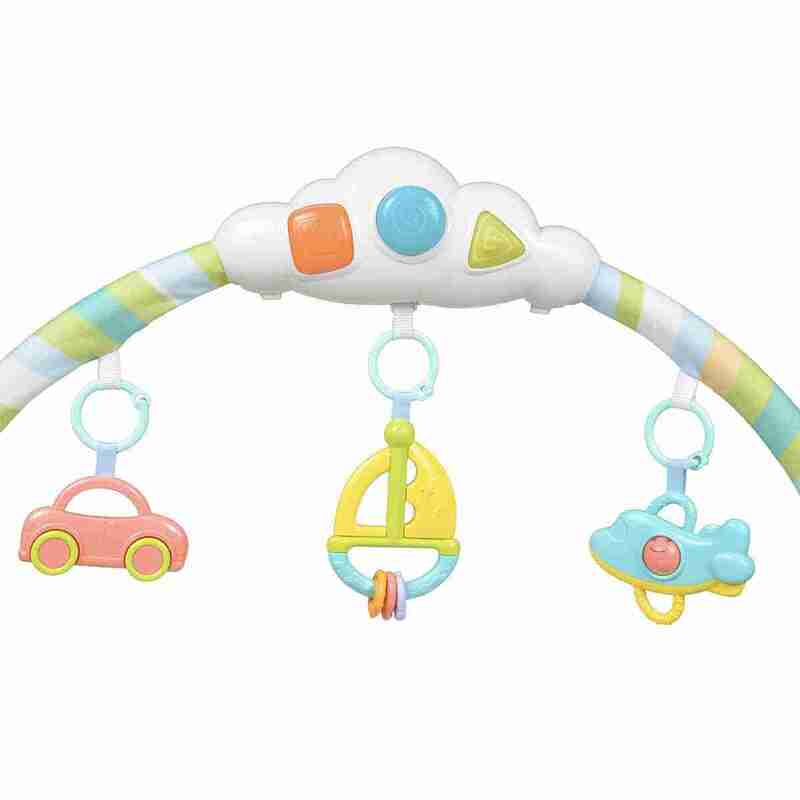 Moveable toys overhead encourage batting and grasping, including a hippo teether, elephant clackers, rollerball frog and more. 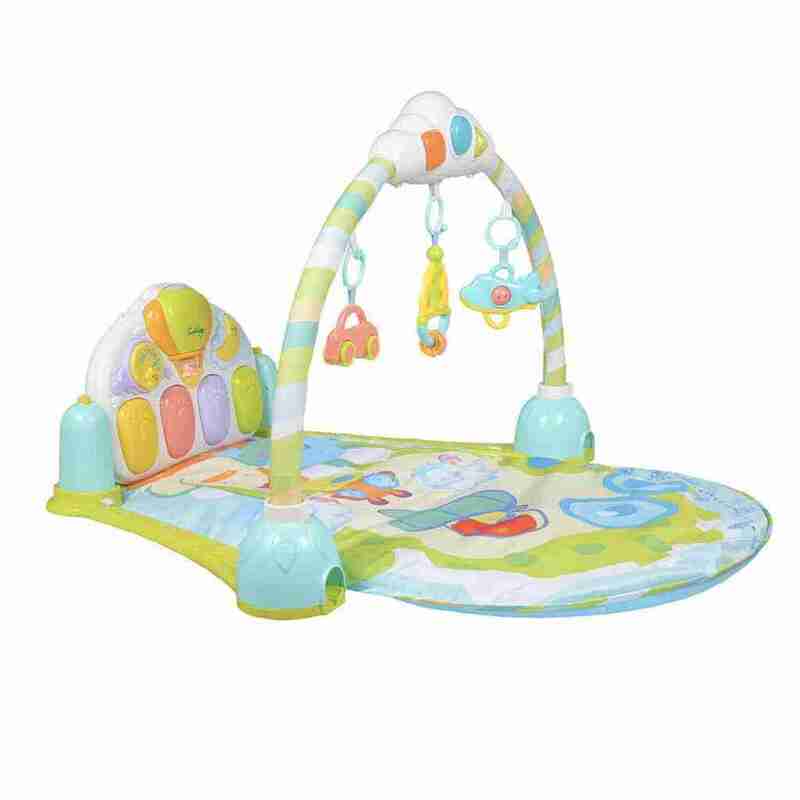 When it?s time to change modes, move the arch down for tummy time or let baby sit up and entertain you with a piano concert. Remove the piano and take the fun on-the-go. 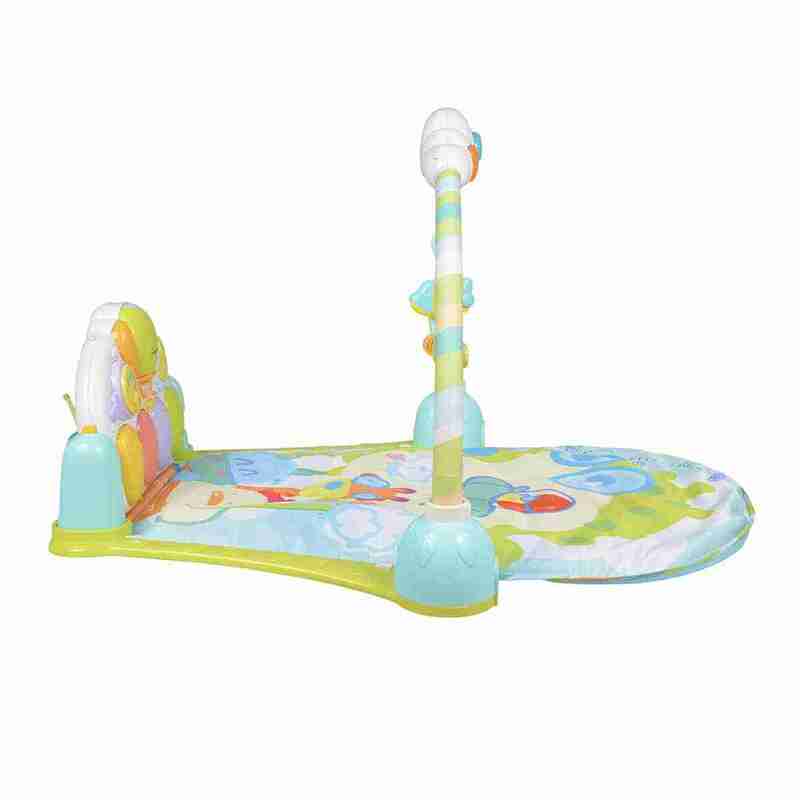 Any good baby playmat needs to be able to handle the wear and tear associated with everyday play. The Venture Mini Me and Friends Activity mat is no different. 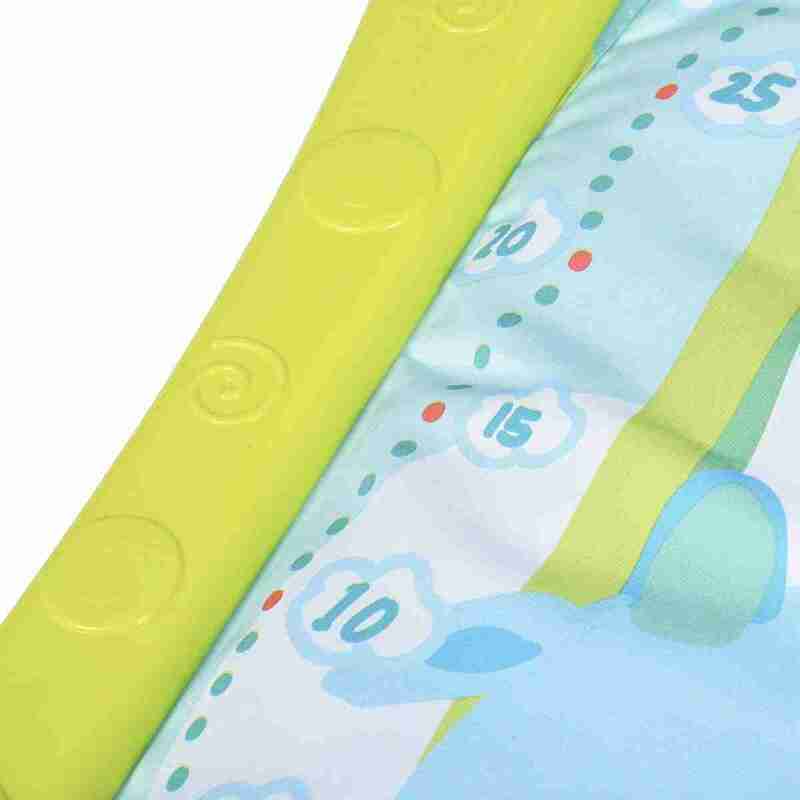 The fabrics used are soft and resistant to stains and marks, meaning they any little accidents can always be wiped away.